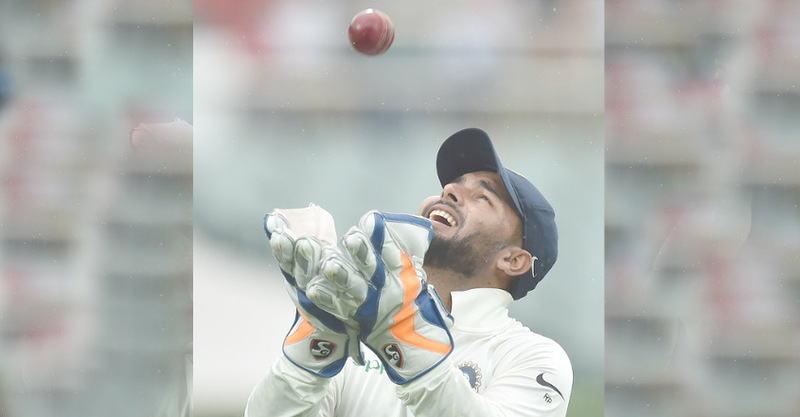 Indian wicketkeeper Rishabh Pant Monday equalled the world record for most catches taken in a Test, snaring 11 in the opening clash against Australia in Adelaide. The 21-year-old, playing in only his sixth Test, matched the record currently held by England's Jack Russell and South Africa's AB de Villiers. He eclipsed the India record of 10 catches in a game by Wriddhiman Saha. Russell achieved the feat against South Africa in 1995 and De Villiers matched the achievement against Pakistan in 2013. Pant reached the milestone by catching Mitchell Starc of the bowling of Mohammed Shami.